A screenshot of NIRVE rounds in September 2015 — First round for the new cycle (2015-16) where all sites introduce themselves. Top left: Slides being presented at the NIRVE rounds from Toronto. Top right: Trainees and staff at Ufa, Russia; and below, trainees and staff at St Petersburg, Russia. Bottom left: Natal, Brazil, and Sà£o Paulo, Brazil. NIRVE was designed to develop leadership skills and create opportunities for residents at all levels to participate in medical education and peer learning, raise awareness of global health concepts in neurology, increase resident advocacy of global health issues, enhance international and national collaboration among neurology residents and act as a gateway for organizing on-site exchanges. The participating international sites on a rotating basis host the rounds every first Thursday morning of the month. Residents from the host site present a neurology case through videoconferencing technologies, and neurology resident moderators encourage the audience to actively engage in discussions and exchange opinions in real time. Since its inception, NIRVE has continued to grow and expand. Neurology residents, fellows and faculty from Toronto with international contacts or affiliations initially recruited partner sites. For example, Olga Finlayson, a former University of Toronto neurology resident, helped establish a lasting collaboration and later clinical exchange with the First State Pavlov University in St. Petersburg, Russia. Our current partner sites include Natal, Brazil; Sà£o Paulo, Brazil; Grenoble, France; Jos, Nigeria; and Ufa, Russia. Participation is free and any site in the world with videoconference technology is welcome to join NIRVE as an equal partner. As a resident-led initiative, NIRVE values all input from its participants and actively seeks feedback to further improve the program and curriculum to cater to participant needs. In 2015, a formal survey was distributed to all NIRVE participants and site directors from 2014-2015. The questionnaire consisted of four parts: demographic information, questions on the main case presentation, questions on the image challenge and exchange participation. The survey assessed both qualitative and quantitative responses from the participants and was administered using Survey Monkey®. More than 100 trainees from 10 different sites have attended NIRVE rounds since its inception. 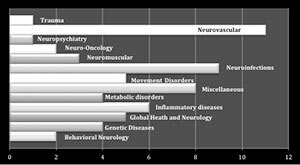 Figure 1 shows the categories and number of presentations in each category that have been covered at the NIRVE rounds, with neurovascular and neuroinfectious diseases being the two most common. Twenty-seven, or 60 percent, of the 45 trainees across four different sites participated in the survey. The average age of these trainees between the ages of 24 to 53 was 29.4 years, and 16, or 60 percent of trainees, were females. While most were neurology residents at different levels of training, two sub-specialty fellows, one postdoctoral fellow and two PhD students also participated in the survey. Slightly more than 66 percent of trainees identified languages other than English as the language of instruction in their medical training. Of the 25 residents surveyed, 91.6 percent thought that the rounds were relevant to their level of training, 95.8 percent identified that the rounds contributed to their existing knowledge and 87.5 percent agreed that the topics align with their academic interests (Table 1). Seventy-two percent of trainees were interested in presenting at the rounds in the future, and 80 percent indicated an interest in participating in a future clinical exchange program. Most trainees identified the case discussions as the most beneficial aspect of the rounds and suggestions were made to increase emphasis on global health topics and comparing and contrasting practices across the world. There are considerable variations in the occurrence and management of neurological conditions across the world. As neurology trainees prepare for their future careers in an increasingly globalized world, providing early exposure to a variety of cases and management strategies can be challenging. NIRVE provides an opportunity to fill this gap while fostering a platform for potential collaborations. Over the past years, NIRVE has encountered considerable challenges limiting its expansion. The difference in time zones across countries, various costs associated with room rental and equipment purchase for some international sites, and English as the main language for the rounds have limited the number of trainees we have been able to engage. Looking to the future, creating a bigger role for webcasting, and password-protected archived webcasts could be a more cost-effective strategy to expand our reach. However, increased connectivity may come at the price of reduced real-time interaction. Finally, an on-site clinical exchange is planned for May 2016 in Toronto, including participants from Brazil, Canada and Russia. Despite challenges including technological, logistical and language-related constraints, NIRVE rounds continue to supplement resident learning across different geographical, political and cultural backgrounds. We welcome residents and fellows from other programs to contact us at nirve.utoronto@gmail.com for more information about NIRVE or to participate in NIRVE. We are happy to provide further information on some technical requirements and further details. Meah Mingyang Gao, Russell Rasquina, Manav V. Vyas, Mary Jane Lim Fat and Dalia Rotstein are with the division of neurology, department of medicine, University of Toronto. Yuri Kiryanov is with the department of neurology, First Saint-Petersburg Pavlov State Medical University, St Petersburg, Russia. Clecio Godeiro is with the department of neurology, Universidade Federal do Rio Grande do Norte, Natal, Brazil. Fernando Morgadinho Coelho is with the department of neurology, Universidade Federal De Sà£o Paulo, Sà£o Paulo, Brazil. Tim Patterson is with the department of telehealth, Baycrest, Toronto, Canada. Morris Freedman is with the department of medicine, division of neurology, Baycrest Health Sciences, Mt. Sinai Hospital, and University of Toronto; Sam and Ida Ross Memory Clinic, Baycrest; Rotman Research Institute, Baycrest, Toronto, Canada. After an invitation from the European Brain Council, we arranged the Norwegian Year of the Brain in 2015 (YotB2015) – 20 years after the first Year of the Brain in Norway. The Norwegian Neurological Association, the Norwegian Brain Council and Nansen Neuroscience Network coordinated YotB2015 and took the initiative to organize different events and activities. The main goals of YotB2015 were to increase the focus on knowledge and research on brain diseases that would lead to improved prevention, treatment and patient care. Professor Espen Dietrichs, Norwegian delegate to the WFN presenting one of many lectures during the Norwegian YotB2015. Upon establishing a national committee in 2014, we exchanged ideas and distributed tasks to stimulate the arrangement of events, media reach and interest-based political work. Many neurological departments, patient organizations, professional organizations and research networks announced the Norwegian Year of the Brain, scheduling activities and events around the country. 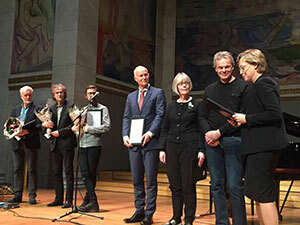 The formal opening ceremony was held in February 2015 in the Assembly Hall at the University of Oslo. State Secretary Anne Grethe Erlandsen from the Ministry of Health and Care Service opened the meeting before President Raad Shakir of the WFN, Mary Baker, past president of the European Brain Council, and several Norwegian health leaders, neuroscientists and patients held their lectures and talks. YotB2015 meeting about treatment of neurological disorders, Oslo University Hospital. Through the year, more than 60 meetings open to the public were held around the country, including lectures and discussions on different perspectives on neuroscience at hospitals, cultural centres and libraries. In Molde, Norway, YotB2015 meetings were part of an international literature festival. 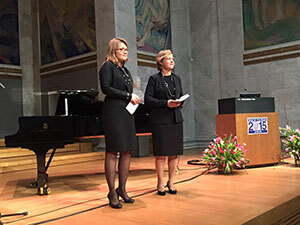 And in Oslo, several large meetings on various neuro-related topics were held, including “Literature and the Brain,” “Music and the Brain” and “Food and the Brain.” In addition, there were multiple professional meetings to market the YotB2015 logo, including the 27th National Neurological Congress, the Spring Meeting in the Norwegian Neurological Association, meetings within the Norwegian Academy of Science and Letters and the 1st National Meeting on Endovascular Intervention in Acute Stroke. YotB2015 was also marketed in a stroke campaign. A popular science book about the brain was published by the Norwegian delegate to the WFN, Espen Dietrichs, one of the initiators of both YotB1995 and YotB2015. During the YotB2015, many neurological topics and challenges were presented in mass media with numerous interviews on TV, radio and newspapers. Information on coming events was continuously updated on the website of the Norwegian Neurological Association and the Norwegian Brain Council. Information was also conveyed through social media platforms, Twitter and Facebook. During the fall, the Norwegian Brain Council also arranged a Facebook campaign called “With a Heart for the Brain,” which generated more than 1 million likes. Erlandsen led December’s closing ceremony. The Director of the National Health Directorate and Nobel laureate Edvard Moser held inspiring lectures on the impact of neuroscience and brain disorders. In addition, so-called “brain music” that was specially composed for the Nobel Prize Award Ceremony in 2014 by two music professors at the Norwegian University of Science and Technology, was presented live for the first time during the closing ceremony. We have been working continuously to strengthen the priority area of brain diseases and neuroscience. 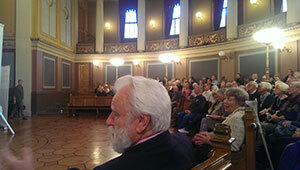 The Year of the Brain and the neuro field were discussed in the Norwegian Parliament during 2015. 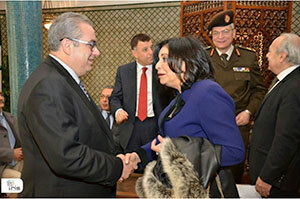 We have also had an audience at the health minister and discussed the focus on brain disorders. The Norwegian Brain Council also received a separate post in the fiscal budget for 2016. During the closing ceremony, the state secretary declared that the Ministry of Health and Care Service will make a status report for brain disorders. A few days later, the Health Committee in the Norwegian Parliament underscored the need for a national plan on brain health in Norway. The Norwegian YotB2015 has resulted in increased interest and knowledge on neurological disorders. Our message that one in three will experience brain disorders and that the neuro field needs to be prioritized stronger has sparked interest. We have achieved political understanding for brain disorders as a focus area and will work further with this issue. We will follow up the announced status report, which should result in a National Brain Plan. Anne Hege Aamodt is president of the Norwegian Neurological Association, Espen Dietrichs, is a Norwegian delegate to the WFN and Hanne Flinstad Harbo is a leader of the Norwegian Brain Council. The Journal of the Neurological Sciences will soon feature a section devoted to global neurology. We have seen a significant increase in the number of high quality submissions from around the world, and many of these address important issues in regions beyond the traditional high-income countries. In this new section, we will profile original research, topical reviews and commentaries that address important regional and global neurological topics. We extend a special invitation to individuals who are working in or collaborating with neurologists or scientists in lower or middle-income countries. 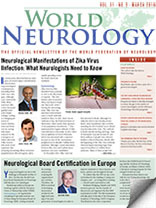 Dr. Donald Silberberg will edit the global neurology section. Dr. Silberberg is ideally suited to edit this section. He is currently emeritus professor of neurology, and he served as chair of neurology (1982-1994) and senior associate dean for international programs (1994-2004) at the University of Pennsylvania Perelman School of Medicine. He is an associate editor for the Journal of the Neurological Sciences and is the retiring editor for World Neurology. Dr. Silberberg is dedicated to improving neurological care in developing countries. His expertise in the global community is a great asset to the World Federation of Neurology and the Journal of the Neurological Sciences. Authors who wish to submit manuscripts for this new section should use the Elsevier Editorial System and follow the instructions for authors. In our ongoing attempt to enhance accessibility of JNS articles to members of the World Federation of Neurology (WFN), we have selected two more “free-access” articles, which are profiled in this issue of World Neurology. 1) Ivana Vodopivec, et al. provides a glimpse of the heterogeneity of patients with Susac syndrome. Susac syndrome is a rare disease, which is usually characterized by a triad of encephalopathy, visual disturbances and hearing loss attributed to a pauci-inflammatory vasculopathy of the brain, eye and inner ear. However, at initial presentation, none of the five patients in this case series demonstrated the complete triad, and diagnosis was difficult and delayed. The authors provide two important conclusions: a) Microinfarcts were noted on MRI diffusion weighted imaging (DWI) of the brain, as well as branch retinal artery occlusions and vessel wall hyperfluorescence on fluorescein angiography in all patients with acute encephalopathy, and b) glucocorticoid and IVIg treatments were insufficient in halting the disease in patients with severe encephalopathy. Additional immunosuppressive treatment was required. 1) Vodopivec, N. Venna, J.F. Rizzo III, S. Prasad, Clinical features, diagnostic findings, and treatment of Susac syndrome: A case series, J.Neurol.Sci. 357 (2015) 50-57. 2) Kristin Galetta and Don Gilden provide a well-written and comprehensive review of varicella zoster virus (VZV). This article covers the history, protean clinical presentations, prevention/vaccination and future directions for research. I believe that this article is a must read for any clinical neurologist. K.M. Galetta, D. Gilden, Zeroing in on zoster: A tale of many disorders produced by one virus, J. Neurol. Sci. 358 (2015) 38-45. Electroconvulsive therapy (ECT) is considered a highly effective treatment for drug-resistant depression. The discovery of ECT has generally been attributed to the Italian psychiatrist Ugo Cerletti (1877-1963), who, in April 1938, managed to induce seizures by applying electricity directly to the head of a schizophrenic patient. Even though Cerletti’s achievement has greatly contributed to the widespread implementation of cranial electrotherapy, the first reports on this seemingly hostile procedure date back even earlier. The yarr [Leyden jar] by which I was struck contained about 32 pints. It was nearly fully charged when I recived the explosion from the conductor supported by that jarr. The flash enter’d the corner of my hat. Then, it entered my forehead and passed thro the left hand, in which I held the chaine communicating with the outward coating of the yarr. I neither saw, heared nor [sensed?] the explosion by which I was struck down. I lost all my senses, memory, understanding and even sound judgment. My first sensation was a peine [pain] on the forehead. The first object I saw was the post of a door. I combined the two ideas together and thought I had hurt my head against the horizontal piece of timber supported by the pos[ts? ], which was impossib[le] as the door was wide and high. After having answered unadequately to some questio[ns] which were asked me by the people in the room, I determined to go home … yet I was more than two minutes considering whether, to go hom[e] I must go to the right or the left hand. I had a Paralytick Patient in my Chamber, who’s Friends brought him to receive some Electric Shocks. I made them join Hands so as to receive the Shock at the same time, and I charg’d two large Jars to give it. By the Number of those People, I was oblig’d to quit my usual Standing, and plac’d myself inadvertently under an Iron Hook which hung from the Ceiling down to within two Inches of my Head, and communicated by a Wire with the outside of the Jars. I attempted to discharge them, and in fact did so; but I did not perceive it, tho’ the charge went thro’ me, and not through the Persons I entended it for. I neither saw the Flash, heard the Report, nor felt the Stroke. When my Senses returned, I found myself on the Floor. I got up, not knowing how that had happened. I then again attempted to discharge the Jars; but one of the Company told me they were already discharg’d, which I could not at first believe, but on Trial found it true. They told me they had not felt it, but they saw I was knock’d down by it, which had greatly surprised them. On recollecting myself, and examining my Situation, I found the Case clear. My mental faculties were at that time [the next morning] not only returned, but I felt the most lively joyce in finding, as I thought at the time, my judgment infinitely more acute. It did seem to me I saw much clearer the difficulties of everything, and what did formerly seem to me difficult to comprehend, was now become of an easy Solution. I found moreover a liveliness in my whole frame, which I never had observed before. 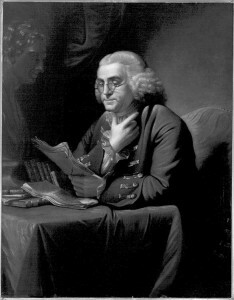 Franklin was fascinated by the story of his Dutch correspondent. Ingenhousz had not only survived the accident, but had experienced a considerable improvement in his mood following the accident. Even though Franklin himself had not noticed any perks of his electric mishap, both men agreed that cranial electrotherapy could potentially provide an effective therapy for melancholic patients. Consequently, they both set out to persuade various “mad-doctors” in London and Paris to expose the heads of their melancholic patients to cranial electricity. In 1787, four years after Ingenhousz’ letter to Franklin, John Birch (1745-1815), an English surgeon and electrotherapist, proclaimed the healing of a melancholic porter and a suicidal singer by means of cranial electrotherapy. Birch’s achievements were soon followed by similar reports from Giovani Aldini (1762-1834) and T. Gale. Even though none of these physicians made any reference to Franklin or Ingenhousz, given the chronology of events, it seems plausible that the two prominent scientists inspired them. It is time to include Jan Ingenhousz and Benjamin Franklin in the ECT story. Ingenhousz, a talented physician-scientist best known for his discovery of photosynthesis, was the first to report the positive effects of cranial electricity and to advise the procedure for the treatment of melancholic patients. Franklin, already widely celebrated for his electric research, owns his share in the conception of cranial electrotherapy, as well. Finally, even though Cerletti was probably the first to induce seizures by means of cranial electricity, the early cranial electrotherapists Birch, Aldini and Gale deserve credit for pioneering cranial electrotherapy. Beale, N., & Beale, E. (2011). Echoes of Ingen Housz: The long lost story of the genius who rescued the Habsburgs from smallpox and became the father of photosynthesis. Hobnob Press. Beaudreau, S. A., & Finger, S. (2006). 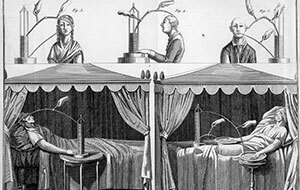 Medical electricity and madness in the 18th century: the legacies of Benjamin Franklin and Jan Ingenhousz. Perspectives in biology and medicine, 49(3), 330-345. Finger, S. (2012). Doctor Franklin’s medicine. University of Pennsylvania Press. Finger, S., & Piccolino, M. (2011). The shocking history of electric fishes: from ancient epochs to the birth of modern neurophysiology. Oxford University Press. Finger, S., & Zaromb, F. (2006). Benjamin Franklin and shock-induced amnesia. American Psychologist, 61(3), 240. Shorter, E., & Healy, D. (2013). Shock therapy: a history of electroconvulsive treatment in mental illness. Rutgers University Press. To analyze the current situation, I emailed Latin American leaders in neurology, seeking information on graduate courses of medicine, residency programs and the number of neurologists in their countries. Most of my suggestions are based on more than 40 years of experience in clinical practice as a neurologist and in teaching neurology in a Latin American country. So, they are not scientifically proven assertions and should be regarded as a specialist’s opinion. First, a well-trained Latin American neurologist should be able to provide the best treatment for patients with neurological diseases, teach all medical doctors to treat and recognize the most common neurological diseases that should be referred to neurologists, and research methods of the prevention, diagnosis and treatment of neurological diseases, mainly those that are more frequent in Latin American countries. 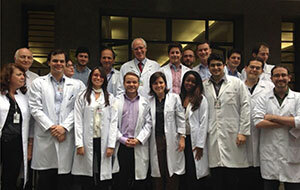 Ricardo Nitrini, MD (back row, center), faculty and residents from the University of Sà£o Paulo, Brazil, gather for a photo. We need to attract the best medical students to be neurologists.1 To accomplish this, it’s important to fight “neurophobia” during the graduate course. Two main actions are important for this purpose – avoiding teaching excessive techniques of neurological examination in a short period of time and changing the old idea that neurology is great for diagnosis, but not for treatment. Neurologists can do much for their patients and will do much more in the near future. Most Latin American medical schools do not have neurology departments. The information I received from seven Latin American countries showed that there were only 42 such departments in 307 medical schools, and the teaching of clinical neurology has been delivered by both neurologists and other medical doctors in the large majority of these schools. Thus, it’s important for medical schools to establish neurology departments and deliver instruction through trained neurologists. To obtain more successful training, we need to have longer residency programs (at least three years dedicated to clinical neurology) to incorporate the expanding field of neurological practice. We may also stimulate residents to undertake short-term elective training in other Latin American centers and abroad. It is essential to improve research on the prevention, diagnosis and treatment of neurological diseases in Latin America, particularly those more prevalent in Latin American countries. Neurologists should be trained during graduate and residency programs on basic aspects of medical research to be able to interpret results and conclusions of papers, and should learn how to submit and publish manuscripts in indexed journals. We need to attract the best medical students to become clinical neurologists, to extend the residency program time, to teach basic aspects of research on clinical neurology during residency programs, and to increase the positions for residency programs in neurology in order to increase the number of well-trained neurologists. To reach this objective, we should develop combined actions of local neurological societies and public health authorities, and also to increase cooperation between Latin American countries and with developed countries. Russell Brain. Neurology: Past, present, and future. Br Med J 1958; 5067:355-360. Bergen DC, Good D. Neurology training program worldwide: a world federation of neurology survey. J Neurol Sci 2006;246:59-64. Steck A, Struhal W, Sergay SM, Grisold W, Education Committee World Federation of Neurology. The global perspective on neurology training: the world federation of neurology survey. J Neurol Sci 2013;334:30-47. Atlas. Country Resources for Neurological Disorders 2004. Geneva: World Health Organization and World Federation of Neurology, 2004. Amorim HA, Scorza CA, Cavalheiro EA, Albuquerque M, Scorza FA. Profile of neurologists in Brazil; a glimpse into the future of epilepsy and sudden unexpected death in epilepsy. Clinics 2013;68:896-898. Ricardo Nitrini, MD, is professor and chairman of neurology, University of Sà£o Paulo Medical School, Sà£o Paulo, Brazil. 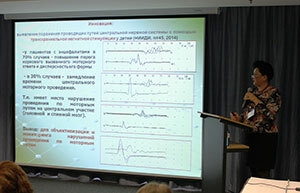 The large scientific meeting, Clinical Neurophysiology and Neurophysiology, was held by the Scientific Research Institute of Children’s Infections in St. Petersburg, Russia, November 26-27, 2015. Held at the Mosckovskye Vorota Congress Center in St. Petersburg, the event attracted 395 participants. The scientific program was dedicated to general problems of neurophysiology in Russia, Commonwealth of Independent States countries and the European Union, and to certain methods in neurophysiology and neurorehabilitation. The congress hosted plenary lectures and 10 symposiums in all. Plenary lectures included such themes as modern aspects of meningitis and encephalitis treatment and diagnosis in pediatrics, presented by Professor N. Skripchenko of the Scientific Research Institute of Children’s Infections, recent discoveries in the field of transcranial magnetic stimulation (TMS), including TMS-MRI fusion techniques, presented by Dr. B. Neggers, University Medical Center Utrecht Brain Center, the Netherlands, and the role and place of electrophysiology in modern medicine, presented by Professor L. Sumsky, Neurology Center, Moscow. Symposia themes were vast and issues included scientific and clinical aspects of electromyography, electroencephalography, neurorehabilitation, ultrasonography of the brain, muscles and peripheral nerves, neuro-orthopedics, electrophysiology and audiology, neurorehabilitation and nurses’ education. 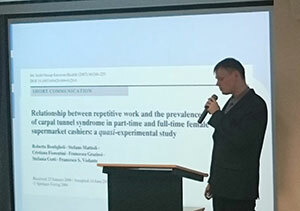 Special interest was dedicated to the TMS symposium, which gathered more than 100 participants and 12 speakers, including Professor J. Mally of the Institute for Neurorehabilitation in Sopron, Hungary. He presented material on TMS as a diagnostic and therapeutic tool. Professor N. Nazarenko of the Diagnostic Center for Altay Region, Barnaul, Russia presented data on TMS investigation in tick-borne encephalitis and many others. The previous congress, which took place in 2015 was dedicated to more general topics and had a more classic design. This year’s event was more inclusive of the newest techniques, approaches and more advanced methods. 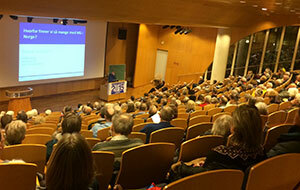 At the meeting, 126 speakers presented their data on the topics. Symposia included talks from leading Russian and international speakers, as well as presentations from early career researchers whose material has had a significant impact in their fields. Delegates for the congress gathered from Russia, Ukraine, Belorussia, Germany, Austria, the Netherlands and Hungary. Russian delegates came from more than 90 locations, including the Far East and Arctic Northern provinces of the country. 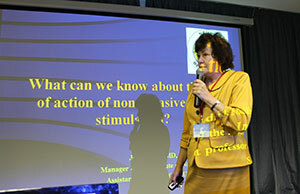 Professor Mally on non-invasive brain stimulation. 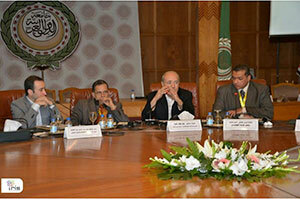 The meeting garnered positive and warm feedback from the delegates and speakers. The organizing committee is now deep into the planning of the next event, which will take place in St. Petersburg at the end of November 2016. Vladislav Voitenkov, MD, PhD, is executive secretary of the Clinical Neurophysiology and Neurophysiology conference, Scientific and Research Institute of Children’s Infections, Federal Medical-Biological Agency of Russia. This year, the WFN will again offer Junior Traveling Fellowships for young neurologists representing countries classified by the World Bank as low or lower middle income to attend approved international meetings. The deadline for applications is March 15. In total, there will be 30 awards. Applicants should hold a post not above that of an associate professor and be no older than 45 years of age. Candidates are asked to send the name and dates of the meeting they wish to attend, a CV and bibliography. Applicants must also send a letter of recommendation from the head of his or her department and an estimate of expenses, to a maximum of $1,440. No excess will be granted. Applicants must actively participate in the meeting they attend (presentation, poster, etc.). WFN also encourages applicants to submit an abstract and attach a copy of the abstract to the application. WFN’s Education Committee will review all applications and announce the awards soon thereafter. 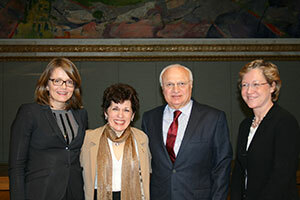 Dr. Lewis is chair, and Dr. Grisold is co–chair of WFN’s Education Committee. Is there a place for a general neurologist? The time has come for us to have a fresh look at our specialty and decide whether we need to modify how we train and practice. In most parts of the world, the answer to the question is simple: We need to continue to train general neurologists to cover a huge need. There are so few of us, that we cannot afford the “luxury” of subspecialization. However, in a minority of countries, the field has expanded to the degree that subspecialists are the norm. The issue is that, in such a diverse situation, for the vast majority of the world population, we are only providing basic neurological care. Do we have to accept the less optimal situation, or should we push hard for subspecialization to happen worldwide? There is no doubt that in many parts of the world, the idea of a general neurologist is fast receding. The argument is that the enormous change in practice and the need to be able to deal with complicated issues is far beyond the capability of a generalist. The explosions in genetics and imaging have led to the need for an in depth knowledge of a rapidly changing field. The generalist can decide on the primary clinical presentation and then what direct management is necessary. However, there will come a point where his or her abilities will not be sufficient to advise further. If we take the example of acute neurological care: How many neurologists are capable of administering tPA in acute ischemic stroke or feel able to do so? The technology has been available for nearly two decades, and up till now, few centers, even in the developed world, are able fully to provide the required treatment not only in tPA provision but also more specialized intravascular thrombectomy. It is true that we need a highly sophisticated technical support from interventional radiology to neurosurgery. But the fact remains; there should be on-the-ground expertise far beyond the training and confidence of a general neurologist. The field is now so complicated that a generalist feels uncomfortable in dealing and advising, for instance, on the use of disease-modifying therapy for MS. The plethora of licensed drugs makes it very difficult to advise on the suitability of certain long-term expensive medications. Moreover, side effects of disease-modifying drugs require care at special centers with neurologists and specialist nurses to look after the needs of patients. Moving to other common conditions, such as epilepsy, we are all trained in the diagnosis of epilepsy, despite the complexity of seizure semiology. However, it is also true that in many cases, there are inevitable errors in diagnosis leading to erroneous management. Therefore, it is important that specialist epilepsy services are available for referral of the difficult, of the poorly controlled or for those needing surgical intervention. This means we need to train specialists in the field of epilepsy to provide accurate and appropriate care. The world of movement disorders has really moved on. We are now in a new era of deciding on correct diagnosis and then advising on management. The field is even more complex with the availability of surgical interventions. It is true that a general neurologist is fully able to make a correct diagnosis of rather complicated Parkinsonism syndromes, but when it comes to decisions on the suitability for deep brain stimulation or Duodopa therapy, then expertise in the field is mandatory. This makes the need for specialist referral centers necessary if we are to offer full treatment packages to patients. The diagnosis and management of genetically derived disorders is another major area for the specialist. The generalist is in many cases able to decide on the clinical phenotype, but that will need a further in-depth look at the genetics and will require a neurogeneticist to give advice on mode of inheritance and progression following appropriate DNA analysis. This is not an area to venture into without full training in clinical genetics, especially if there are predictive tests in healthy carriers and the implications of that on life and childbearing in future generations. The most important issue perhaps is the increasing possibility of the availability of stem cell and genetic modifications in combating many neurological conditions. Many CME programs are aimed at updating the neurologist in dealing with the conditions faced in daily practice. If we look at the programs of the major international, regional and national neurological congresses, we see that specialists in various fields impart their knowledge and advice to general neurologists. This has led to a plethora of guidelines, with which neurologists are being bombarded, and, at times, it is very difficult to apply the most up-to-date pathways to every problem faced. These guidelines are aimed at practitioners in general, but in most parts of the world the contained technologies are, by and large, not available and therefore the supposed “best practice” is not applicable. This means that many neurologists looking after huge populations, however diligent they may be in keeping abreast of the latest guidelines, are totally unable to follow them and subsequently, their patients are disadvantaged. Logically, it follows that postgraduate teaching material and guidelines have to take into account the fact that not all that is most up to date is applicable in all situations. The requirement of obtaining enough annual CME is only effective if it is targeted to the individuals concerned. The general neurology societies and continental associations have to produce guidelines which are for the general neurologist, and which may well be different in a way to those targeting the specialists in the field. This is rather difficult and may lead to confusion and errors. Unfortunately, in many parts of the world, there is little opportunity for patients to see the neurologist of their choice. This is very common in both resource rich and poor countries. The healthcare systems in many, if not the majority of resource rich settings, provide neurological care in an anonymous way, and the patient referred with a specific problem may be seen by a general neurologist or by someone with a different special interest. In the grand scheme of things, this does not matter as neurologists know their field and can ask for advice as and when required. However, in resource poor settings, the way in which patients are seen by neurologists varies considerably. Some neurologists sit in crowded outpatient clinics, where tens of patients wait in line, and where it is only possible to give each of them only a minuscule amount of time. In some settings, this is compensated for by the availability of inpatient beds, and what may seem like a complicated problem in the crowded outpatient setting can be admitted for a more detailed evaluation and more thorough investigation. In other settings, neurology is by and large an outpatient service, with large, short-stay and smaller long-term inpatient facilities that vary according to locality and country. Looking after long-term disabled patients is dependent on the availability of ancillary services. Neurological rehabilitation is a separate specialty, which is totally dependent on the close collaboration with physiotherapists, occupational therapists, speech and language therapists, neuropsychologists and neurology nurse practitioners. Without that, delivery of a comprehensive package of care is not really complete. This approach may not satisfy the expectations of patients who, in the age of the smartphone, have access to the latest advances and will demand care, which may not be possible in their settings. This may well be useful for neurologists, as it will create pressure on health authorities to provide financial and manpower support to achieve better results. This is why it is crucial to work with patients’ groups to push for change at all levels. Now we have to come to the crux of the matter: Do we now have a two-tier neurological practice, or is it a continuum of evolving care starting with the general neurologist and narrowing expertise to the highly skilled specialist? Moreover, how do international bodies like the WFN, as well as regional and national organizations, influence and promote the evolution? Alternatively, should we decide that the deficiencies we face are so enormous that they are insurmountable and we have to get on with improving what we have and let slow evolution take its course? There is probably some truth in the latter view as the financial cost across the world is so vast, that we have to keep plugging away with our programs and slowly increase the number of neurologists in resource poor settings, eventually leading to specialization in our field and reducing the huge treatment gap that now exists. To answer the question raised in the first paragraph, for the time being, it is a clear, yes there is a place for a general neurologist. Pictured, left to right: Professor Reinhold Schmidt, president of the Austrian Society of Neurology; Dr. Hanna Demissie Belay, assistant professor, department of neurology at Addis Ababa University, Ethiopa; Dr. Kalpesh Jivan (South Africa) and Professor Wolfgang Grisold, WFN secretary general. First, I have the deepest appreciation and gratitude to the World Federation of Neurology and Austrian Neurological Society for endorsing the African Initiative and introducing and supporting the department visit program. I would like to thank Professor Wolfgang Grisold and Professor Eduard Auff for their kind welcome and for hosting me at the Medical University of Vienna in October 2015. I wish to express my sincere thanks to Professor Fritz Zimprich, who was my mentor and made my stay incredibly productive and interesting. I would also like to thank Tanjia Weinhart for effectively arranging my stay from the very beginning up to the end. I thank profusely all the hospital staff of AKH Wien for their kind help and cooperation throughout my stay. I started my visit in the department of neurology with an introduction and warm welcome from all the staff and the head of the department. I started my training on the neurology ward, where, initially, I was overwhelmed by the size and complexity of the hospital. The department of neurology, alone, occupied two floors for inpatient services and another floor for outpatient services. I spent my first week in inpatient services on the neuromuscular ward and later in the neurorehabilation unit. I was able to follow acute management of neuromuscular disorders and rare cases, including anti-NMDA receptor encephalitis, which I saw for the first time. I spent a day with the occupational therapists, speech therapists, physiotherapists and other members of the team. I was impressed to see how intense and well coordinated the rehabilitation process was. It further strengthened my conviction that rehabilitation is of utmost importance in the management of many neurological patients. During this time, I was introduced to techniques that I may also apply at my home department. I have decided to try establishing a neurorehabilitation unit in one of the hospitals affiliated with our university. Since my visit, I joined Addis Ababa University in Ethiopia as a faculty member. If successful, it will be the first of its kind in the country. Among the highlights of my stay was the third week in which I spent in the epilepsy monitoring unit. I observed invasive electrode implantation, and I was lucky enough to attend awake epilepsy surgery. Witnessing something you have had only the chance to read about before was amazing. During the rest of the time, I attended the epilepsy clinic and followed a number of complex epilepsy cases. I spent half days of week three on the electrophysiology units (NCS, EMG, EP and ultrasound). I was impressed to see how useful ultrasound examination could be in the evaluation of many neurological diseases. I plan to collaborate with our colleagues in the department of radiology to eventually establish a similar service at my home institution. I spent a few days with the neuro-interventionalist, where I observed certain procedures not practiced within our department. I spent time at different specialty clinics and learned much from everyone involved. By week four, I attended different specialty clinics, such as the neuromuscular unit, as well as the multiple sclerosis, epilepsy, headache, vertigo and Parkinson’s disease clinics. Each unit was a stimulating experience. At the vertigo clinic, for the first time, I could see electronystagmography being performed on a patient. During a night shift, I learned how to evaluate and confirm brain death. I also had the privilege to visit another hospital, Kaiser Franz Josef Spital and attend a tumor board session, guided by Professor Wolfgang Grisold. I found it to be interesting, and it can easily be adapted to a set up like ours. My stay in Vienna was not only formally educational, but it also gave me the opportunity to meet neurologists from Austria and share experiences. My weekends were always full, and Vienna fascinated me with its timeless beauty, culture and artistic attractions. It felt like heaven to walk in the park of Schönbrunn during a windy day in October. I was impressed with the antiquely furnished imperial apartment, the Sissi Museum and the silver collection of the Hofburg Palace. I was also speechless to see all the paintings by pioneering expressionists, such as Klimt, Schiele and Kokoschka at the beautiful palace of the Belvedere. I attended an Edvard Munch exhibition hosted by the Albertina Museum. It was also in Vienna that I attended my first opera. During this visit, I witnessed that neurology or neuroscience is a fast-growing field, and each of us from different parts of the world can contribute a lot. I had only slight difficulties with the language barrier, and even then someone was always beside me to help. People were kind enough to try their best to communicate in English. Even though the duration of the stay seemed short, it is enough to meet the goal of the observership program. However, I believe the program to be so important that I suggest the number of young neurologists sponsored should be increased. 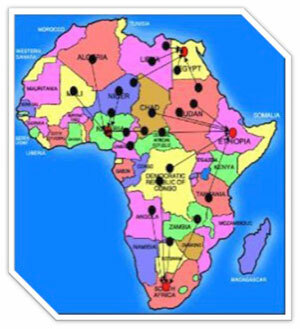 As a recommendation, I think the WFN can also think about exchange programs, whereby neurologists from developed countries pay a visit to African institutes and we can share our experiences. It is my hope that this program will continue and flourish in the future. It is encouraging and inspiring to young neurologists. It will also open a door for future collaborations and joint research projects. In general, I can say with confidence that this program is successfully fulfilling its goal of fostering global neurological education. Dr. Demissie Belay is an assistant professor in the department of neurology at Addis Ababa University in Ethiopa.